Club Community Service chair Gina Gritten presents a cheque to Karen Sidhu manager at Surrey Crime Prevention Society in support of their "Youth Training Program"
Get your tickets, the breakfast is happening soon. This year should be a fun event with a barbershop quartet, magicians, and a kids corner. 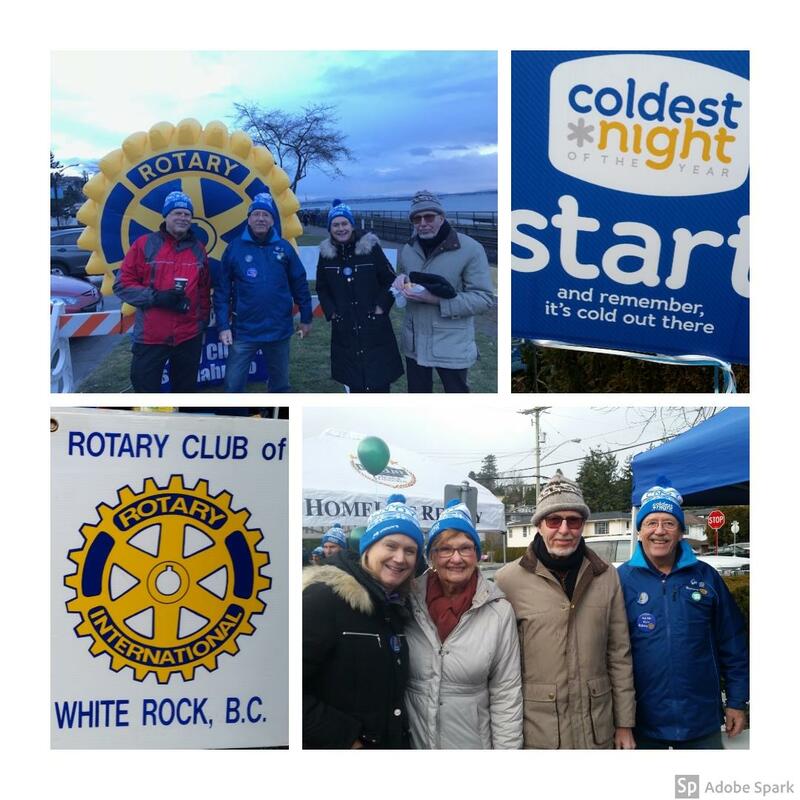 Kids 8 and under eat free..
"Coldest Night of the Year"
Rotary Club of White Rock members took part in the "Coldest Night of the Year" walk Feb 23, 2019. The Club raised $5,400 for the Sources rent bank and homeless programs. The new members of the club were challenged to put on an event to raise money for club activities. 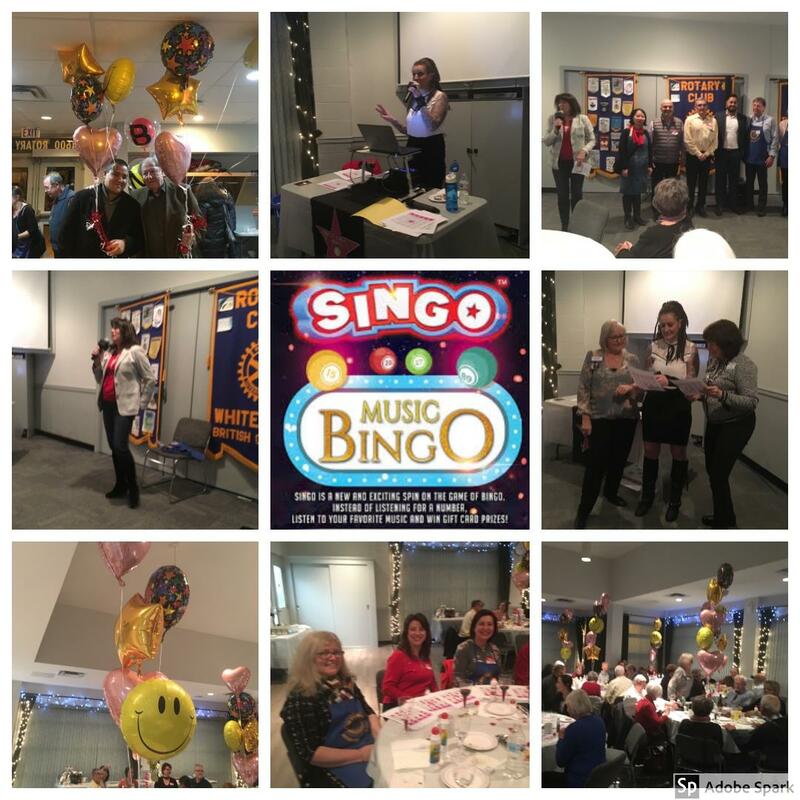 They out did themselves with an evening of Music Bingo. The DJ Jacqueline Stone of "Almost Famous Entertainment" graciously donated her time to keep the crowd grooving to the beats. The songs stimulated lots of memories for everyone. A big thank you to the new club members and all the folks that donated to the silent auction. Everyone had a wonderful time, it sounds like this could be a yearly event. Check out the cool video that video master Ian Lagasse put together. 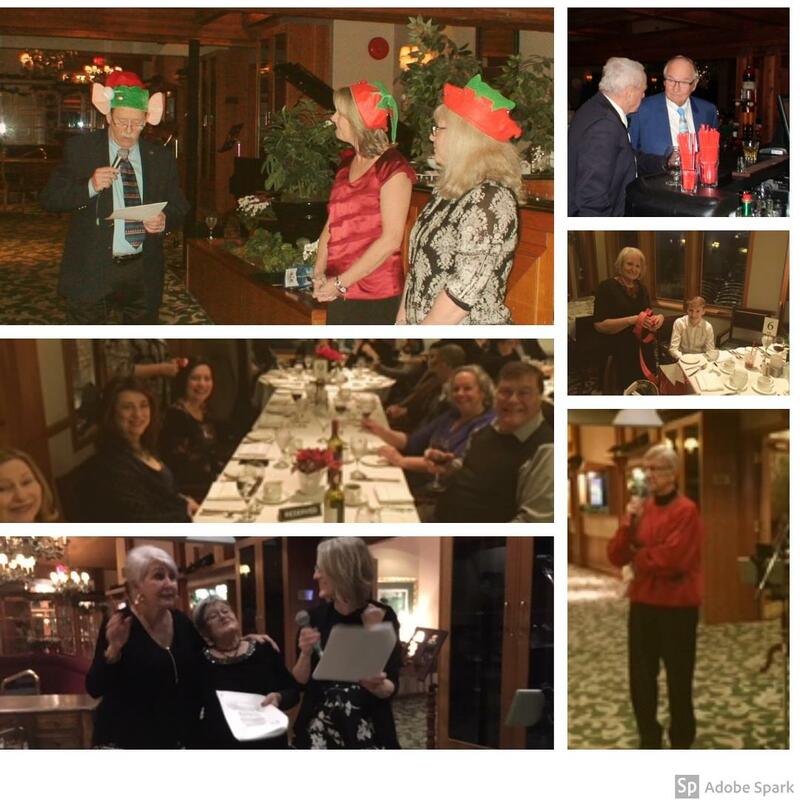 The Club held its annual Christmas party at Hazelmere Golf and Tennis Club on Dec 18 there were 75 members and guests that came out to celebrate. Besides a wonderful meal the highlight of the evening was the induction of two new members to the club, Monique Husslage, and Adrianna Pozzi. Both are eager to get involved in club activities and make a difference in our community. Ian Lagasse’s jokes were well received and seasonal. MC sound master fresh Bob Livesley kept beat to the Christmas tunes of Bill Brook’s piano and his singing accompanist. Joan Apel and the social committee did a wonderful job of organizing the event and everyone had a great time. Merry Christmas and Happy New Year to all! 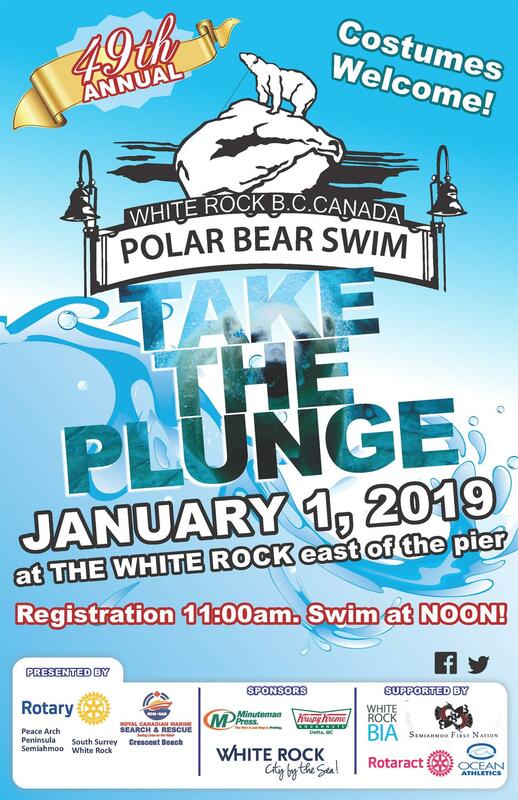 Following the events of this week, we are sorry to announce that the Polar Bear Swim for this New Years Day is officially cancelled. We hope to see you there again for the start of 2020 and the 50th Anniversary of this fun local celebration. 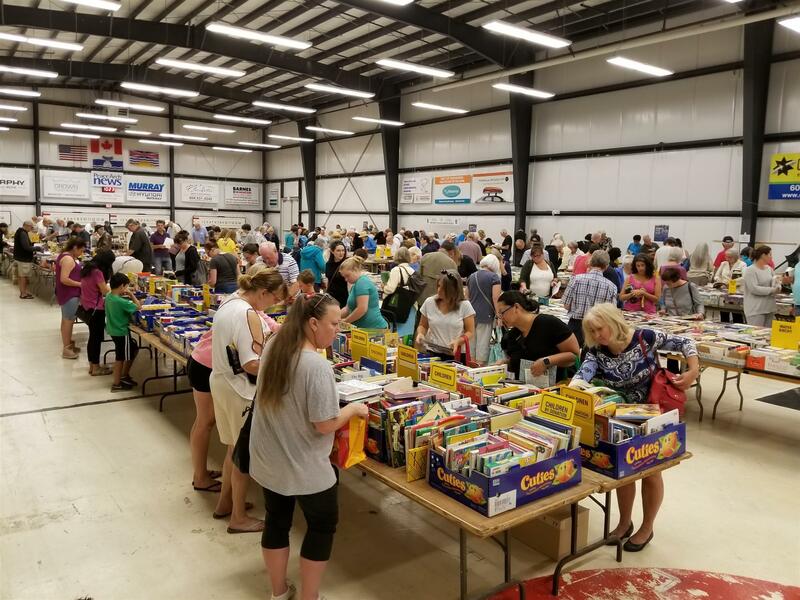 As a result of the incredible support of all five Rotary clubs together with our sponsors and retailers we have exceeded all expectations by selling ONE MILLION dollars worth of cards. 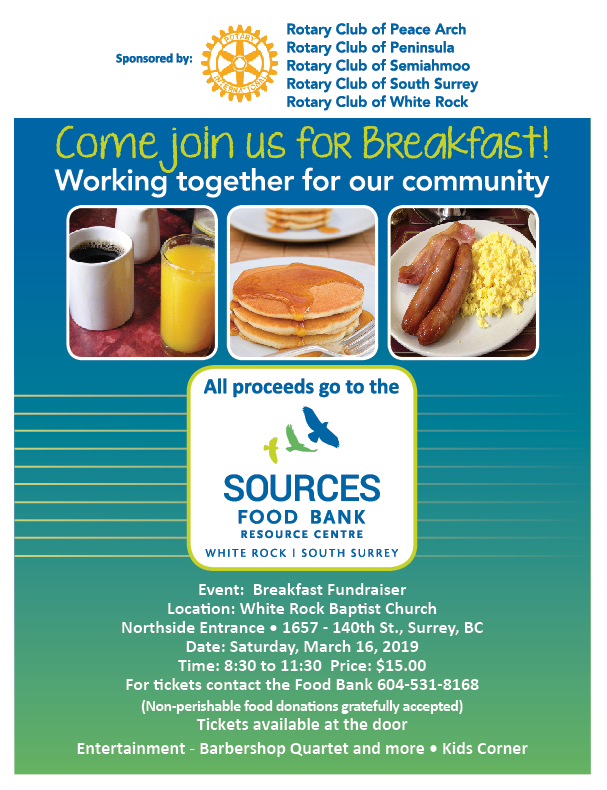 The program, started just over 2 years ago, has raised more the $165,000 in donations for the Sources South Surrey/White Rock Food Bank. Thank you to everyone who has supported the program. 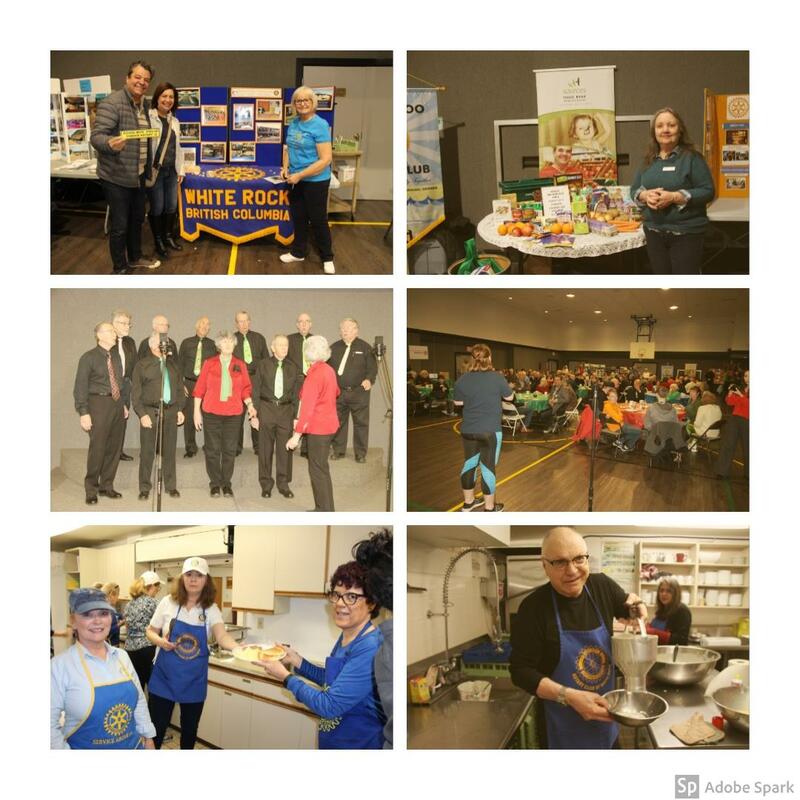 The White Rock Rotary Club members were active this last weekend (Dec 8/18). Starting off with members helping the Salvation Army at the Semiahmoo Shopping Centre by attending the donation kettle. The club sponsored "Kids Lit" program was going on at the same time. The children each receive a book to take home. 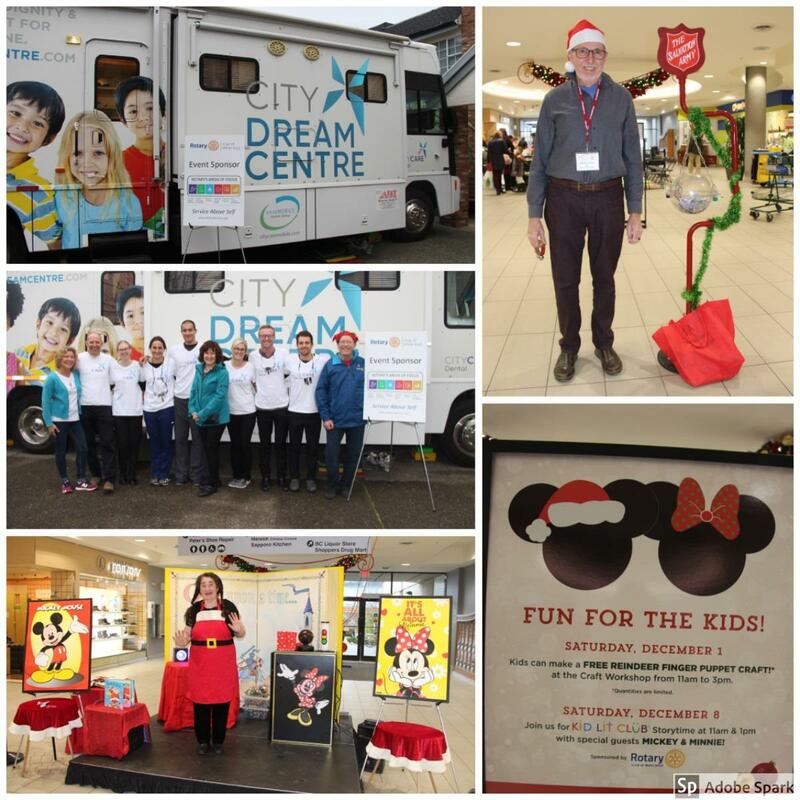 In another part of town the club sponsored the City Dreams mobile dental clinic. The clinic gives dental treatment to people who otherwise would go without. Then a fun evening at the Surrey Eagles hockey game. Teddy bears were thrown on the ice after the first Eagles score. The teddy bears are then donated to the hospital auxillary who give them to children in the hospital. We are proud to support the “Smile Hero Campaign” and the Dental Professionals who so generously offer these services which enables our fellow community members to access the dental care they need. 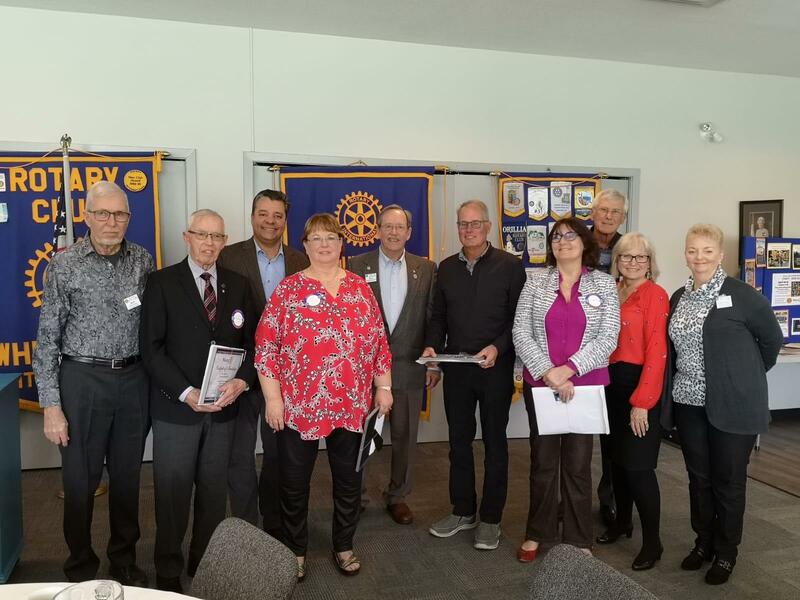 The installation of President Fred Wickens and the officers and directors of the 2018-19 Board was done on June 19, 2018. Here is a video capturing the moments of the installation. The video was shot by Past President Ian Lagasse. Enjoy!! Click on THE INDUCTION OF PRESIDENT FRED 2018 2019 Below in the photo and the video will play. The eighth annual Service Above Self Surrey Youth Awards were presented on May 17, 2018 to celebrate the achievements of youth aged 15 to 21 who are making a difference in our community by demonstrating the Rotary ideal of Service above Self. Community Service, Environmental Leadership, Overcoming Adversity, Sports Leadership, Art & Culture Leadership and Youth Leadership. 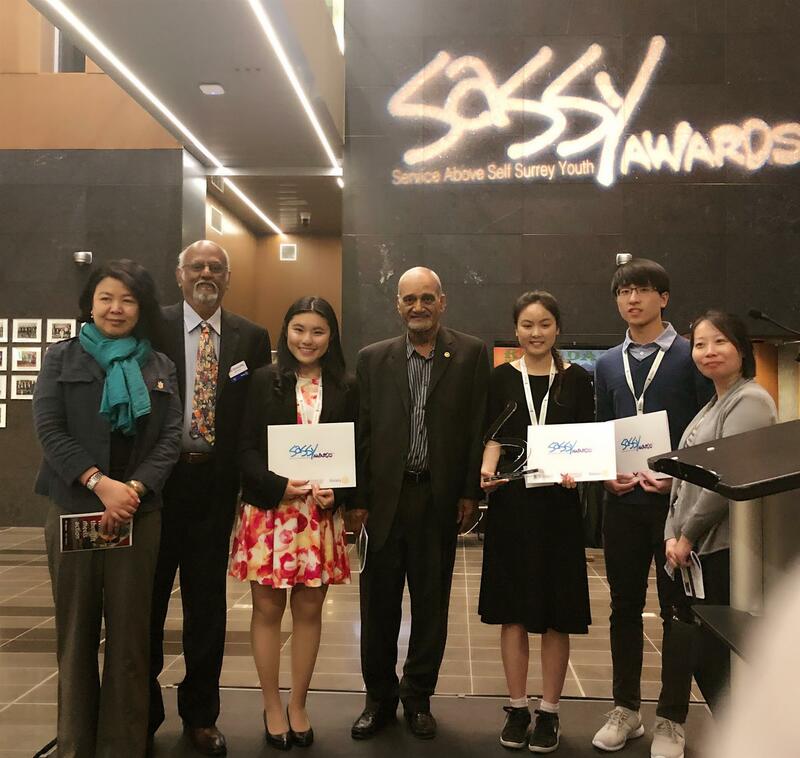 The Community Service Award was sponsored by the Rotary Club of White Rock and was presented to Cindy Zeng by our Club Vice President Nirmal Takhar. 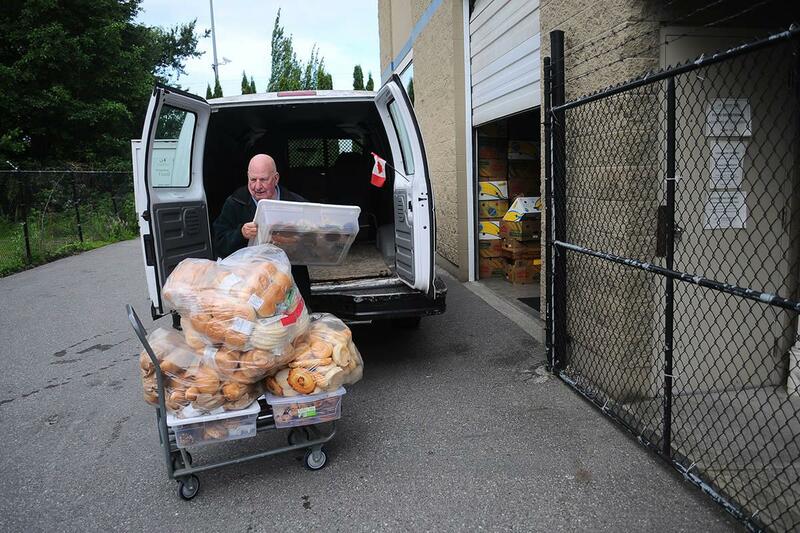 The “Surrey Crime Prevention Society” is made up of over 400 volunteers who are mostly under the age of 30. In 2017 volunteers put in over 13,000 hours, on programs such as Graffiti Removal, Parking Lot Vehicle Checks, Speed Watch, Transit Watch, and Distracted Driving Awareness. 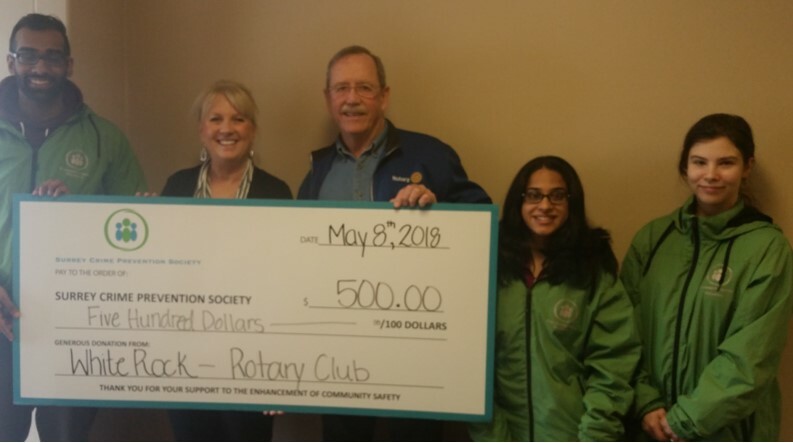 Pictured is Karen Sidhu, executive director, and volunteers receiving a $500 donation for volunteer safety equipment from the Rotary Club of White Rock. 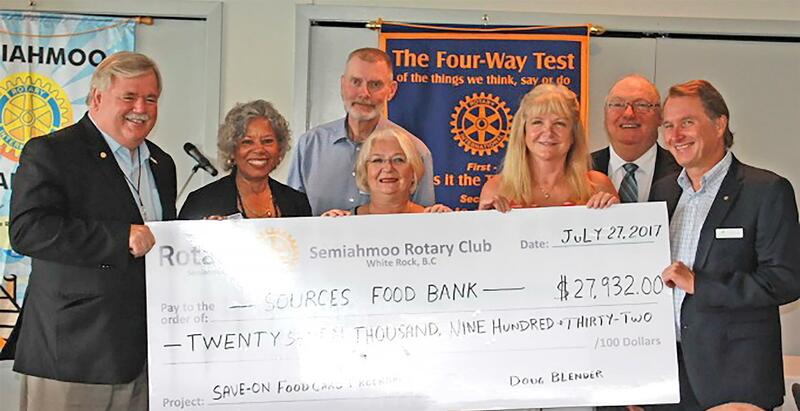 The 5 Rotary Clubs from the Peninsula presented a cheque to Jaye Murray manager of the Sources Food Bank. 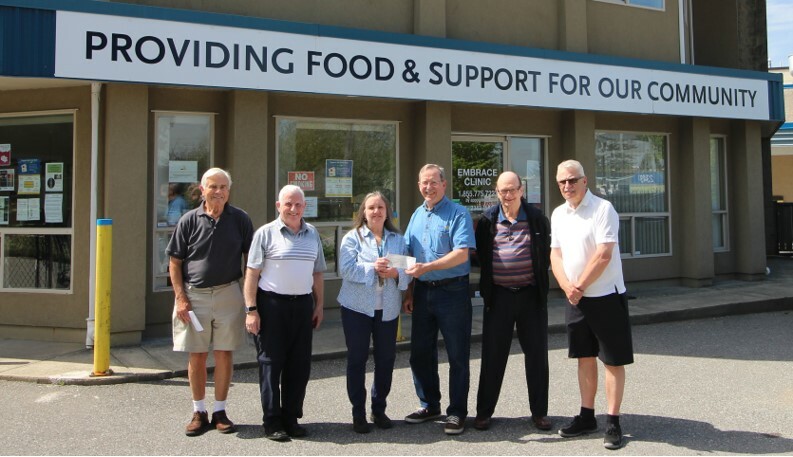 $7,800 was raised at the “5 Club Breakfast for the Food Bank” held on April 28, 2018. The funds will be used to purchase needed food items.. This is the 4th year the breakfast has been held and each year it seems to get more popular. 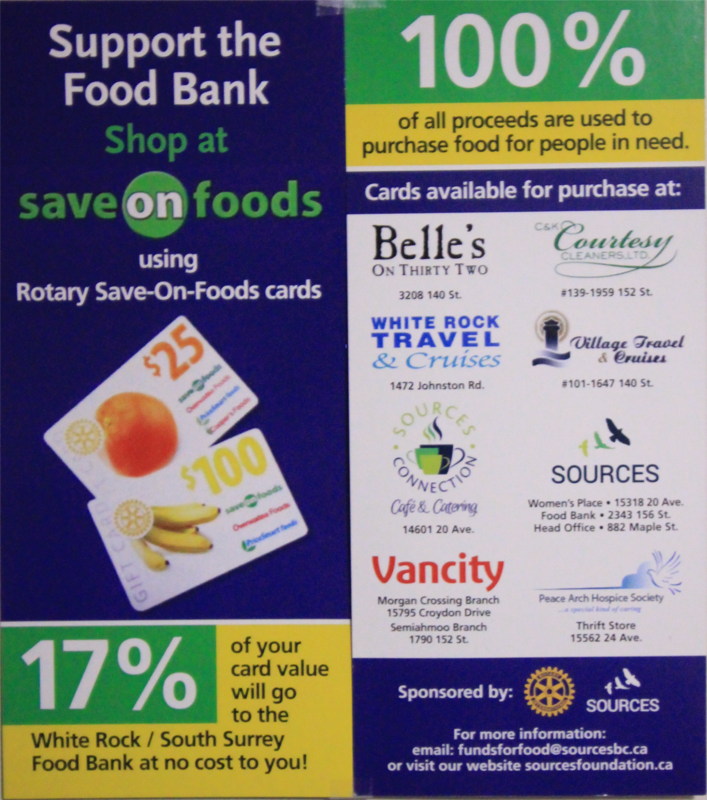 We've partnered with the Tortola Rotary Club in the British Virgin Islands and their affiliates in White Rock/South Surrey to ensure that the funds raised will go DIRECTLY to the causes we want to assist, with no handling fees. We have earmarked the school in Cane Garden Bay as the recipients of the benefit. It is a very important facility for the community and their rebuilding will greatly aid the regeneration for young & old alike. The British Virgin Islands (BVI) received a devastating, direct hit from Irma on Sept. 6th. A category 5 hurricane with sustained winds of 185-190 mph and gusts over 220 churned thru the islands for 5 long hours, tornadoes embedded inside, blowing apart almost everything in her path. 90% of the buildings on the island were destroyed beyond repair or severely damaged, the entire island was left without water or power (it is estimated power will not be fully restored for 4 more months) and the communication infrastructure was almost completely wiped out. Most of the trees were uprooted or broken and the main island roads were impassable for a week, and longer in the outlying areas. Thousands have been left homeless with literally only the clothes on their backs, businesses are destroyed, and jobs are scarce. It's not a pretty picture. 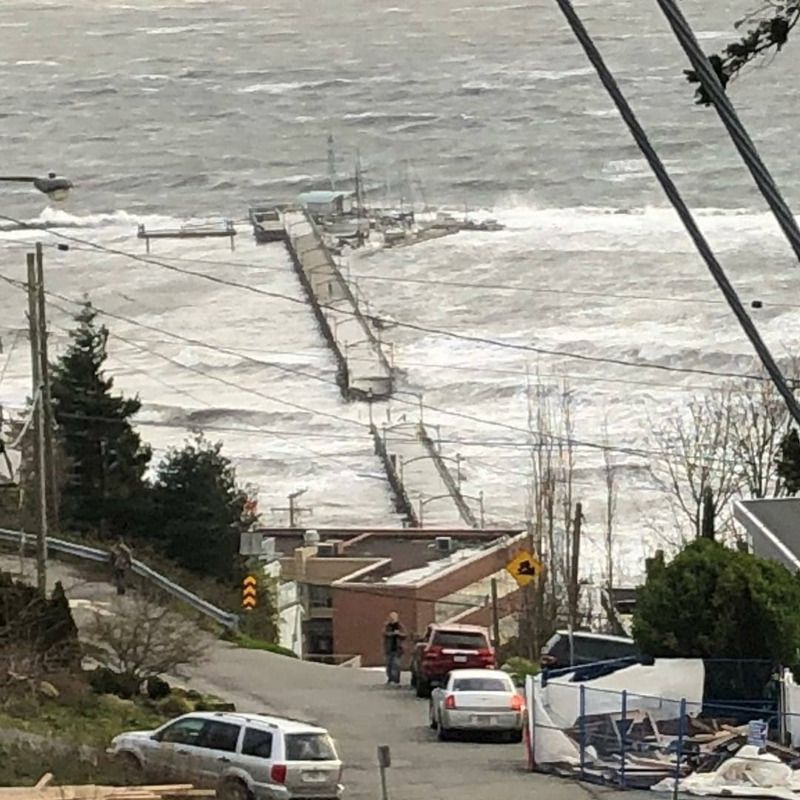 I've been on the island after several category 3 & 4 hurricanes but nothing comes close to this - the scenes that l've witnessed are reminiscent of war-torn, bombed-out Syria. It's heartbreaking." The Social Committee hosted the annual BBQ at the home and back patio of Mauricio and Simone on July 22, 2017. Appetizers, drinks and an excellent Brazilian BBQ dinner were enjoyed by about 50 club members, spouses, and family members. Many thanks to Mauricio and Louis for their excellent BBQ skills. The District 5050 golf tournament was held this Friday Aug. 12th with all funds raised going to the Rotary Foundation for doing good in this world. It was held at Hazelmere golf course in South Surrey and we had 8 members of our club ( sorry 6 and 2 spouses ) that were players and our member Ted Church won a blender. Great fun was had by all! 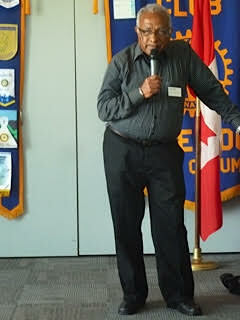 Denis Boyd, our past District Governor, spoke about a new initiative to return (to some degree at least) to the roots of Rotary. We have seen a shift from a very strong emphasis on business networking (in the early days of Rotary), to a shift away from business networking- to the point where some clubs have fined members for talking business at a meeting! 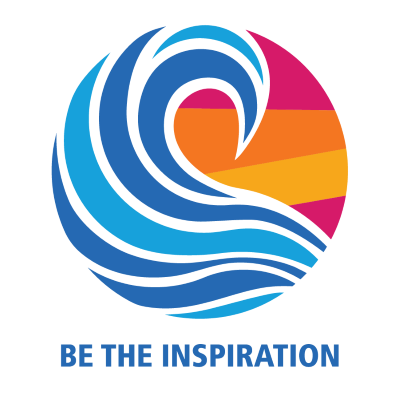 The new theme is “Rotary is open for business”. 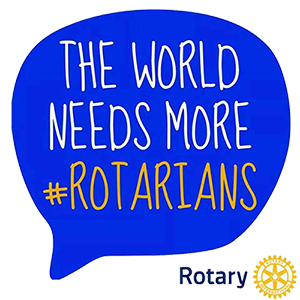 To help members who want to identify and connect with businesses that are run by Rotarians, a new web site – www.rotarynetworkingplus.com – has been established, with seed funding from District 5050. The underlying theme is that doing business with Rotarians should mean doing business with business people who are ethical and can be trusted. Denis gave a demonstration of the web site, which is up and running now. There is no charge for registering a business on the website. There are now 152 listings – target is 400-500. While District 5050 has provided funding so far (about $6000 to date), the long term plan is for the website to be self – financing. Denis’ presentation was well received – those present expressed generally positive reactions to the initiative. Dr. Har Prashad, a very accomplished man currently consulting for Tribology. Voss is doss? Tribology is the study of science and engineering of interacting surfaces in relative motion. His topic for us was life, love, health and happiness. He broke each word down and provided us insight into how these very personal words impact our daily lives. 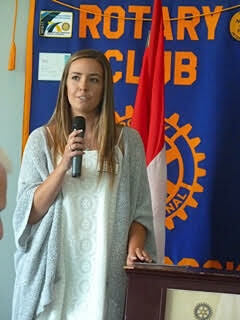 Megan Mohan, Semiahmoo High graduate with our $2,000 Community scholarship. Megan will be studying to become a teacher at the University of Victoria. On graduation she plans to work with children competing in the special Olympics. In a brief talk she listed some of her many volunteer accomplishments while in school. 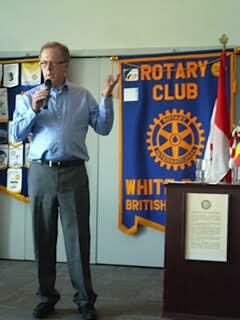 Peace Arch Hospital is closer to having new medical equipment after the Rotary Club of White Rock donated more than $30,000. 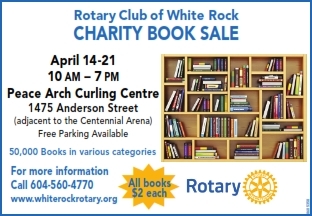 The club presented the cheque to the Peace Arch Hospital and Community Health Foundation last month, in the amount of $32,100, which was raised through the group's popular book sale. 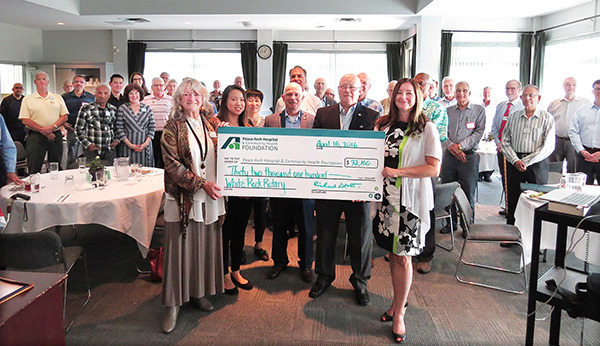 The funds will go towards purchasing three vital-signs monitors for elder acute care and a bladder scanner for the mental health and substance abuse zone. 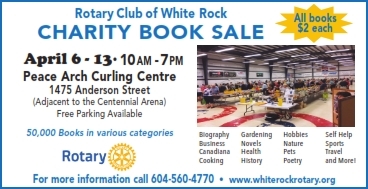 Since launching the book sale in 1987, the Rotary Club of White Rock has raised $322,000 for the hospital. The YMCA is offering to assist isolated and vulnerable adults, or those living with or at risk for chronic conditions. The Community Health team with the YMCA of Greater Vancouver are offering a program called the Choose to Move program. This program is a free choice-based physical activity support program informed by the best practice. It will enhance and identify physical activity opportunities for adults 65+ who are currently inactive and living with chronic conditions. This program is completely FREE for those who qualify.